Special Features: Evergreen. Sporangia borne on terminal pinnae of fertile frond. 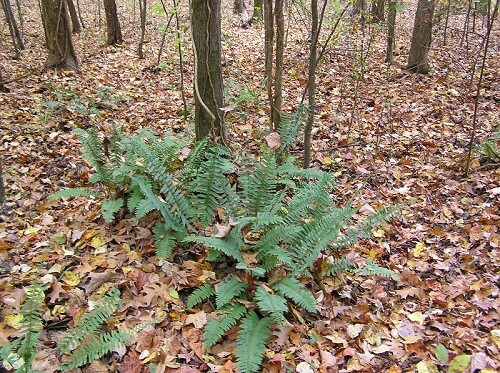 Habitat: Dry woods to moist woods.